Home /SEO » SEO is dead! Long live SEO. SEO is dead! Long live SEO. As we evolve more and more into a digital age, most marketers have included digital marketing as an essential element to their strategies. It is critical to keep up – or even ahead of – the times to safeguard that you aren’t lagging behind your competitors or getting stuck in a marketing rut. No area of inbound marketing gets hackles up more than SEO does. 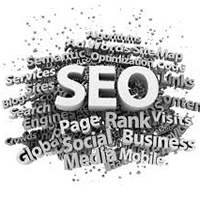 Critics of search engine optimization (SEO) go as far as saying that if it is not dead now, it will be soon. The reason for the changes from Google and other search engines is to avoid inauthentic websites from getting higher rankings than they deserve. This is good news for the rest of us. Hurray for the end of keyword stuffing plus thousands of backlinks instead of a relevant and informative message. The current chattering that search engines are shifting away from old methods of SEO and focusing instead on better quality content needn’t be quite so black and white. Placing the emphasis on the quality of content marketing, rather than just the little tricks of traditional SEO gives you a chance to double your rewards. To get the most out of your digital marketing you need to pair high-quality content with the correct SEO strategies – one shouldn’t be done without the other. Statistics reveal that a website ranking at positions 1-3 can get up to 33% of all users’ engagement for a particular search. A little extra optimizing can push you up to the top. For assistance on solid SEO practices and more, get in touch with leading global Internet marketing franchise.